Chitosan particles loaded with the antigen ovalbumin (OVA) and the adjuvant Quil-A were produced by electrospray, using mixtures of water/ethanol/acetic acid as a solvent. Three different chitosans designed as HMC+70, HMC+85, and HMC+90 (called as 705010, 855010, and 905010) were tested and its efficacy to be used in oral vaccine delivery applications was investigated. The morphology, size, and zeta potential of the produced particles were investigated, together with the encapsulation efficiency and release of OVA from the three chitosan formulations. Moreover, the mucoadhesion and cytotoxicity of the chitosan microparticles was examined. All the three formulations with OVA and Quil-A were in the micrometer size range and had a positive zeta potential between 46 and 75 mV. Furthermore, all the three formulations displayed encapsulation efficiencies above 80% and the release of OVA over a period of 80 h was observed to be between 38 and 47%. None of the developed formulations exhibited high mucoadhesive properties, either cytotoxicity. The formulation prepared with HMC+70, OVA, and Quil-A had the highest stability within 2 h in buffer solution, as measured by dynamic light scattering. The electrosprayed formulation consisting of HMC+70 with OVA and Quil-A showed to be the most promising as an oral vaccine system. This study received support from The Danish National Research Foundation (Project DNRF122) and Villum Foundation’s Center (Grant No. 9301) for Intelligent Drug Delivery and Sensing Using Microcontainers and Nanomechanics (IDUN). Line Hagner Nielsen received financial support from the Danish Research Council for Technology and Production (FTP), Project DFF-4004-00120B. Furthermore, this study received financial support from the European Union’s Seventh Framework Programme for research, technological development, and demonstration under grant agreement no. 613931. Furthermore, Jorge Alberto S. Moreno received financial support from the Consejo Nacional de Ciencia y Tecnología (CONACYT) and the Instituto de Innovación y Transferencia de Tecnología (I2T2). 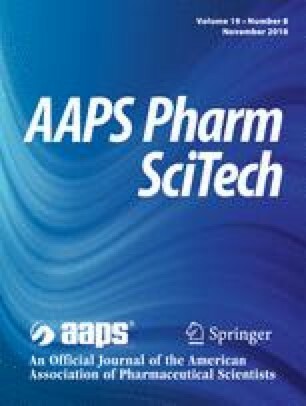 Kaneko K, McDowell A, Ishii Y, Hook S. Characterization and evaluation of stabilized particulate formulations as therapeutic oral vaccines for allergy. J Liposome Res [Internet]. 2017;1–9. Available from: https://www.tandfonline.com/doi/full/10.1080/08982104.2017.1370472.